They also offer 'non-destructive' enhancements where the original photo is left untouched, and any adjustments are stored within the program's photo database instead. Picasa takes the same approach, while Lightroom is an 'alternative Photoshop' for photographers who need organising tools first and image-editing second. But you've still got classic image-editing apps like Photoshop and Elements, which are bundled with their own separate photo management programs. Photoshop comes with Adobe Bridge, which has hidden depths. It can sort and filter photos according to keywords or metadata, and organise them into Collections. It can even stack related photos. Picasa is also a file browser, but while its professional appeal is limited, it's extremely good at fast keyword searches and can display your whole photo collection in a single window. But neither can really keep up with the others. We all know iPhoto, which is fast, simple and effective, but it doesn't offer stacking tools, and stores your photos in an internal filing system. The new Photoshop Elements Organizer is much better in that it works with your existing filing system and offers more transparent control. Top dogs, though, are Lightroom and Aperture. Lightroom is the easiest step up from an ordinary browser like Adobe Bridge since it shows your photos' folder locations, but Aperture can't be beaten for its speed, flexibility and interface. The photo editing tools in iPhoto are effective at everyday image fixes, and you can have some fun with the Effects, but that's about all. Picasa looks equally simplistic, but you can actually do just a little more with your photos, thanks to things like the graduated tint and filtered black and white effects. Both use 'non-destructive' editing, where your changes are stored by the software rather than applied permanently to your photos. That's the approach taken by Lightroom and Aperture, too, but since these are professional apps it's no surprise to discover their editing tools are far ahead of iPhoto's and Picasa's. Aperture is terrific, but Lightroom has the edge, with new lens correction profiles and easy-to-use adjustment presets. 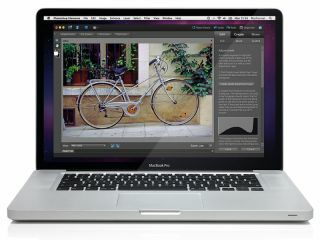 But if you need layers, filters and other fullon image manipulation tools, you need an image-editor. Elements is a lot closer to Photoshop than people imagine, especially version 9, but Photoshop is still top dog.